Established as a result of the California Gold Rush in the mid-1800s, the town of Rancho Cordova has a rich history tied to the western expansion of the United States. Thanks to the thriving gold mining in nearby Coloma, the town played a role in the development of the first transcontinental railroad (and was one the first stops on the historic Pony Express). Rancho Cordova became a center of agriculture, and a thriving community of orchards and vineyards in El Dorado and Amador counties still produce some of the finest produce and wines in the country. The now-flourishing community draws visitors from around California for its outdoor recreational opportunities, historic sites, excellent dining, world-class museums, and major events. It’s become a must-visit spot in the Sacramento area for those looking for a unique getaway. Here are just some of the things to enjoy while you’re in town. Rancho Cordova is surrounded by nearby rivers and lakes, making watersports one of the area’s biggest draws. The American River, flowing down from high in the Sierra Mountain Range and split into three forks, is one of the state’s best options for world-class whitewater rafting, with a little bit of everything for all levels and experiences. American River Raft Rentals offers recreational float trips on the lower sections of the river close to town. The class I and II river is a fun way to explore the natural beauty of the area. For those looking for more of a thrill, the Middle Fork is less than an hour from town, and it features some of the state’s most heart-pounding class IV rapids. A rafting trip there will take you through a secluded canyon in the Sierra Nevada foothills to tackle the Tunnel Chute, which was created by miners in 1899 who diverted the river to help dig for gold. Today rafters are the beneficiary of this unique element that takes them through a narrow chute and a 90-foot tunnel. The American River Bike Trail is an incredible resource for cyclists, offering 32 miles of uninterrupted pedaling. Sacramento State Aquatic Center is located on the lake, where you can rent boats and take courses in sailing, rowing, and windsurfing with an emphasis on creating fun and safe experiences. It’s also internationally renowned for hosting world-class rowing championships. For anglers, the region is filled with excellent fishing opportunities. Fly fishing enthusiasts—and those who want to try it for the first time—can take advantage of Fish Habit Outfitters, an excellent guide service that leads trips on the American River. Try your hand at catching striped bass, shad, Chinook salmon, and steelhead. Just off the lake, you’ll find a number of trails to help you explore the region. 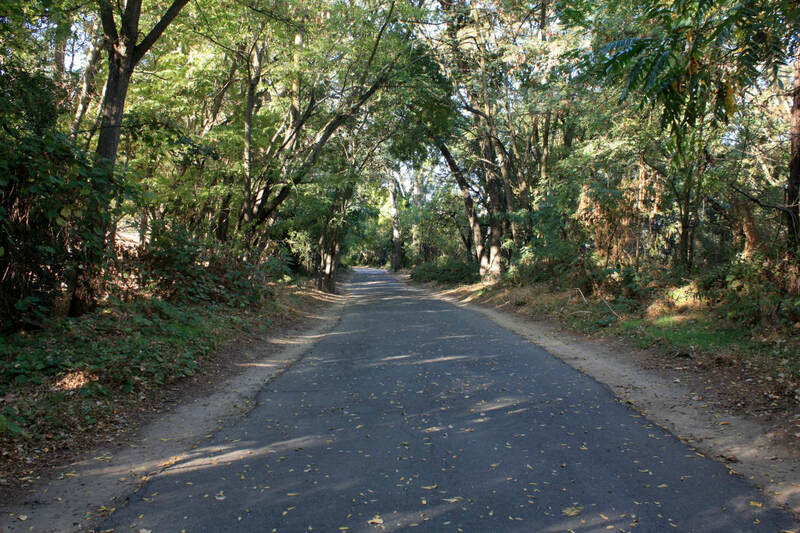 The paved American River Bike Trail (also known as the Jedediah Smith Memorial Trail) is a 32-mile path that stretches from Lake Folsom all the way to downtown Sacramento, making it an excellent resource for cyclists. Other trails in the area—like the Middle Ridge and Shady Trails—are excellent options for hiking, trail running, and mountain biking. For those looking for an extreme adrenaline rush, the Skydive Lodi Parachute Center is a located about 40 minutes south of Rancho Cordova. Take the plunge from 13,000 feet above the ground (in tandem, attached to an instructor your first time) and get an unbelievable view of the area—as well as a once-in-a-lifetime thrill. If you want a more relaxing view from above, Sky Drifters offers hot-air balloon rides. 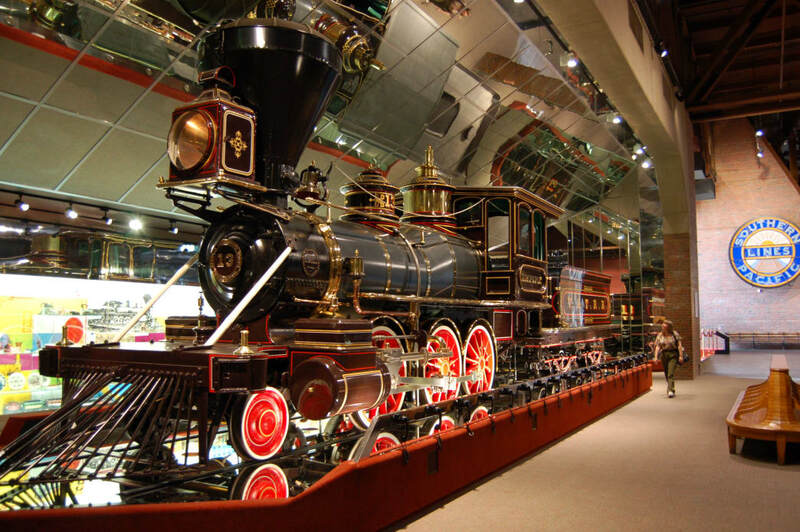 The California State Railroad Museum offers a glimpse into how trains shaped the state and the country. The culture in Rancho Cordova offers visitors opportunities to explore its past and celebrate the creativity of the region. If traveling as a family, the Sacramento Children’s Museum is a perfect starting point and a prime location for children to explore different aspects of music, art, science, culture, and many other interesting programs that aim to inspire and develop foundational skills. To get a better idea of western expansion and the role it played in the United States, the Marshall Gold Discovery State Historic Park is an excellent place to visit. It gives visitors an in-depth look into the gold-mining history and the process to which it developed, leading to one of the largest mass migrations in America. Visitors can even pan for gold and participate in tours of the park. Another great family destination is the California State Railroad Museum, which highlights rail development in the Golden State. The museum even offers the opportunity to ride along the Sacramento waterfront in a vintage steam or diesel train. For a taste of the area’s art scene, look no further than the Harris Center for the Arts and the Crocker Museum. The Harris Center is an impressive three-stage facility dedicated to visual and performing arts, where you can catch music, dance, or theater. The Crocker Museum is one of the oldest public art museums in the west, and it is one of the finest in California with a variety of world art as well as historic art connected to the state. The California Capital Airshow is one of the largest in the nation. Sitting near the heart of California’s Central Valley, Rancho Cordova is one of the nation’s top agricultural centers, which means access to plenty of fresh produce—and excellent restaurants. You’ll find nearly every type of meal imaginable in the area, from Michelin-starred fine dining to every ethnic option you could crave. Traveling is a lot more fun with good food and nightlife, and Rancho Cordova thrives in this realm with a bustling Barrel District, which includes six breweries, two distilleries, and one meadery (honey wine). In addition to the brewery and distillery culture, the nearby Sierra Foothills of El Dorado and Amador County produce 50 different varieties of grapes for fine wines. Hotels in Rancho Cordova offer a "Sierra Foothills Wine Passport," which features free wine tastings that are a great way to explore the area. You’ll also find some amazing annual festivals, like Rancho Cordova’s iFest, an international gathering celebrating ethnic diversity in the community. 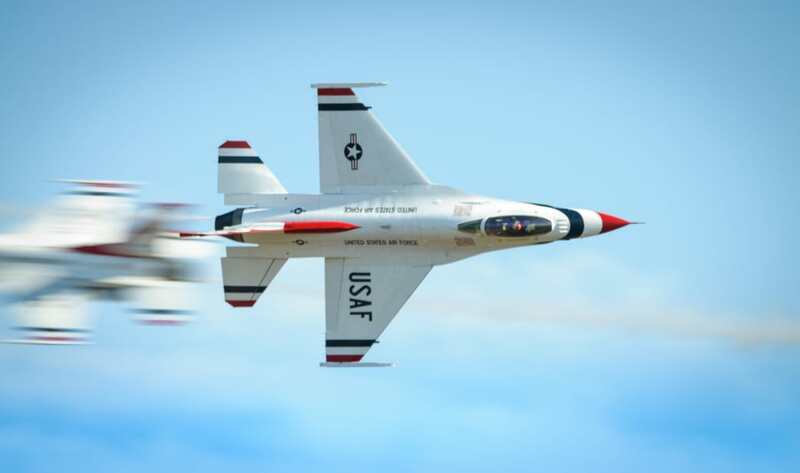 The California Capital Airshow, which has become one of the largest in the nation, brings people to Mather Airport in Sacramento to enjoy the USAF Thunderbirds and other amazing aerial acts. You’ll find more than 50 aircraft on display, a STEM education area and a kid’s zone for the young ones to enjoy. Rancho Cordova is a community that has something to offer for every type of person, paired with consistent sunny skies and scenic surroundings. It’s a great spot for a weekend getaway to enjoy outdoor activities during the day and relax with a glass of wine in a great restaurant at night. Come and see for yourself what makes this place so special.